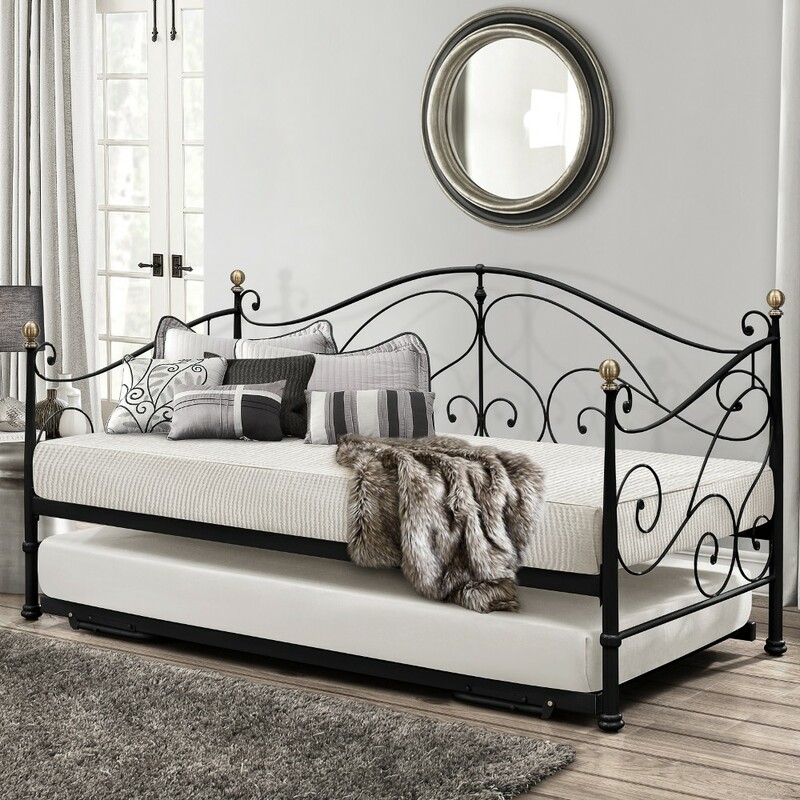 The Milano daybed is a traditional style metal furniture frame. It is defined by an ornate design that you will surely love. It has a black or Ivory finish with antique brass finials for luxury. In the Milano daybed, an adjustable trundle bed on castors is ready for guests that you may have. The trundle has a mesh base while the main bed is sprung slatted for added comfort. You can choose this bed with or without mattresses. With the trundle included, the item will come with two mattresses if chosen.